Although Apple’s own Pages software is usable, the standout app for word processing is Microsoft’s Office 365 Home or Personal, which give you Word, Excel and PowerPoint on an iPad, with Word available as a standalone app on Android devices. Less demanding word processors who are mostly interested in cross-device accessibility should use the Evernote app, which is excellent on tablets; easy to understand and simple to sync. 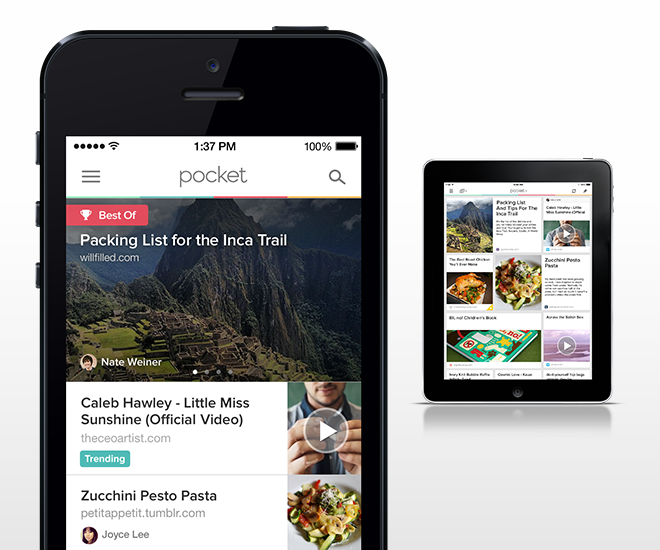 For research, background reading and for just catching-up on web pages you’ve not got around to viewing yet, the Pocket app is invaluable. Just ‘send to Pocket’ on all devices and your tablet will be full of reading material for the journey (after a short sync). You can also swerve the need to travel with a Kindle by downloading the Kindle app to your tablet, which syncs all of your books, and even remembers what page you were on. If you want to remain paperless while travelling, the TinyScan and Genius Scan are perfect for digitising expenses receipts and converting to PDFs, and can even upload everything to Dropbox, too.